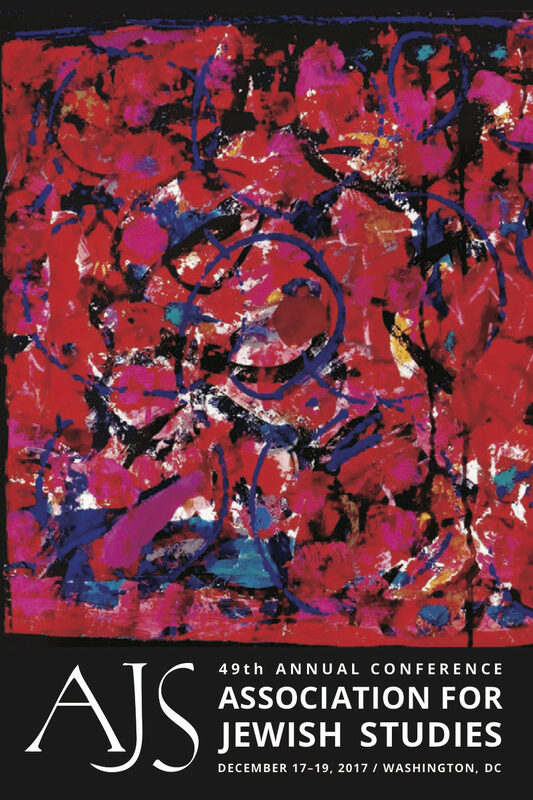 Meeting every year in December, the annual conference of the Association for Jewish Studies is one of a few regular events that bring together scholars and students of Yiddish from around the United States and the world. The inaugural meeting of what soon became In geveb’s editorial board was held at the AJS conference in 2013 and every year since In geveb has been present at AJS in a number of ways. We have organized a roundtable each year approaching the question of “the state of Yiddish Studies” from different angles (see below for a link to this year’s roundtable, “Yiddish Studies Beyond Borders”). These roundtables have resulted in several series of essays, including on the state of Yiddish translation and teaching Yiddish in the digital age. Last year for the first time we surveyed the conference program to find all of the content related to Yiddish (over 50 individual presentations and three roundtables! ), and invited all those attending the conference to meet with our editors at a series of kafe shoen. This year we realized we are probably not the only ones interested in seeing that survey of all the Yiddish content happening at the conference, so we are excited to share this guide to the large number of panels, roundtables, and individual papers related to Yiddish that will be taking place (if you notice something we’re missing, please email us!). Looking at this full schedule, we can’t help but be impressed by the vitality of our field. If you are one of the presenters included here and are feeling equally proud of your Yiddish scholarship, consider submitting your work to In geveb for publication! We also want to highlight the events In geveb has organized and is participating in, and to encourage you to use them as an opportunity to meet us. In geveb aims to be a resource for Yiddish Studies in the broadest sense, which means that if you work with Yiddish and we don’t know you yet, we want to. In geveb editors will be wearing buttons with our logo during the conference, if you see someone sporting these stylish oysyes, consider it an invitation to come introduce yourself. Yiddish Studies Beyond Borders Roundtable (Sunday 3-4:30pm Gallaudet University Room): Our roundtable this year will explore the breadth of Yiddish Studies outside US institutions and English-language scholarship. Graduate Student Reception (Sunday 9:30pm Mint Room): Are you a graduate student interested in or working with Yiddish? We want to meet you! Several of our editors will be at the reception (wearing our In geveb buttons), please come introduce yourself and talk with us about how you can get involved with the journal. Jewish Studies and Digital Humanities Workshop (Monday 10-11:30am Digital Humanities Space): Our editors will present In geveb at this drop-in session, stop by for a few minutes to talk with us about In geveb as a model of digital scholarship and publishing. All of the following panels, roundtables, seminars, and lightning sessions promise to have at least one speaker whose presentation engages with Yiddish in a substantive way. We include the name of these presenters and their papers. In the case of roundtables and seminars, we have included the names of all participants. Follow the links to the conference schedule for more detail. 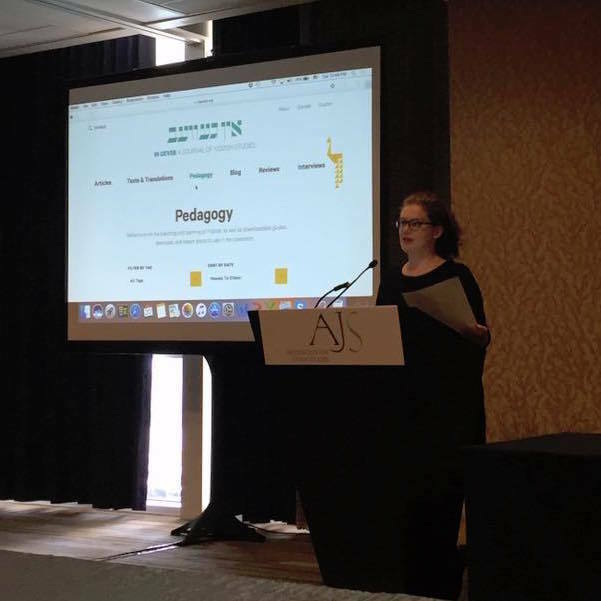 In geveb’s editor Sarah Zarrow introduces our roundtable discussion on “Teaching Yiddish in the Digital Age” at the AJS in December, 2016. Editors, The . “Your Guide to Yiddish and In geveb at the 2017 AJS Conference.” In geveb, December 2017: https://ingeveb.org/blog/your-guide-to-yiddish-and-in-geveb-at-the-2017-ajs-conference. Editors, The . 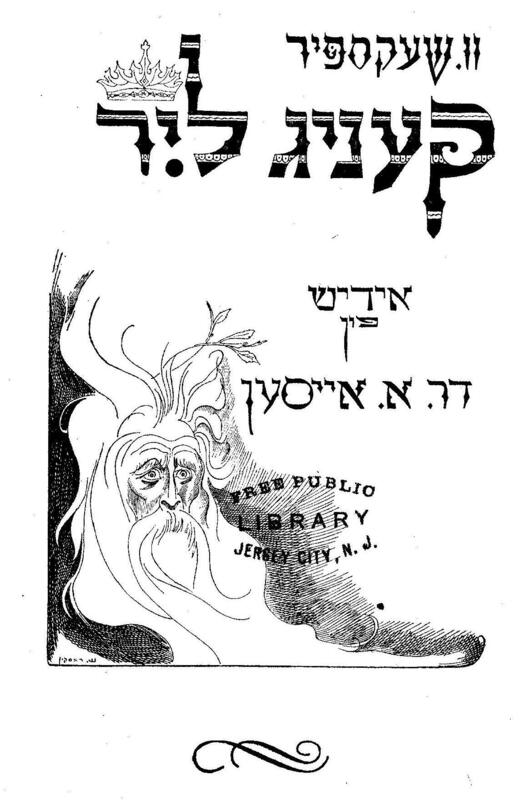 “Your Guide to Yiddish and In geveb at the 2017 AJS Conference.” In geveb (December 2017): Accessed Apr 21, 2019.